Trish is so knowledgeable on pregnancy and birth, providing resources and always being available to talk. I am so grateful for birthing healthy babies, and having an amazing birth. Thanks Trish for being part of my support team. When we found out we were pregnant with twins I felt it could be helpful having a doula for consistent support throughout the pregnancy as well as an extra support at the birth. After having my first baby naturally, I was keen for a natural twin birth with active labour. 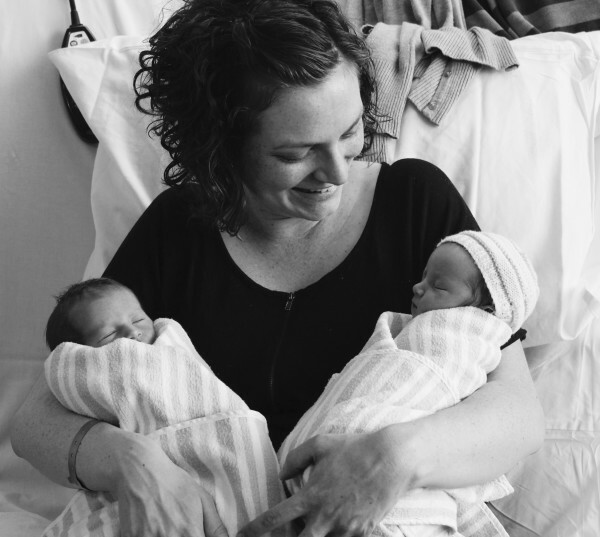 As twin pregnancies tend to be more complex and involve more visits to the doctor, having someone like Trish available to debrief with after appointments was really helpful. Trish is so knowledgeable on pregnancy and birth, providing resources and always being available to talk. My twin birth was amazing; I ended up being induced at 38 weeks and although it was a fast and intense labour, I was so glad to have birthed naturally and without medical pain relief. I was so well supported through my labour and birth. Once Twin 1 was delivered I was able to hold her while pushing out Twin 2 (born en-caul). I had immediate skin-to-skin with both babies for a while, and was able to breastfeed each baby soon after birth. I am so grateful for birthing healthy babies, and having an amazing birth. Thanks Trish for being part of my support team. We could not have gotten through the birth without you there by our sides taking care of us both. Thanks to you, I feel I had a very positive birthing experience. Thank you Trish for being my Doula. I'm so glad that we chose you for my first pregnancy, it was the best decision ever! Thank you so much for your amazing support both practical (in to our birth) and emotional (checking how we're doing). You provided me and my husband with so much information and support through out my pregnancy and after the birth. We could not have gotten through the birth without you there by our sides taking care of us both. We love the photos that you took. Thanks to you, I feel I had a very positive birthing experience. We chose Trisha and Norwest Doula Services because she was friendly and approachable, but seemed confident and knowledgable. I felt like I was still Sarahs primary carer and Trish never ‘took over’ from me. As a father, I felt that all the responsibility of supporting my wife, Sarah, through our pregnancy and birthing fell on my shoulders. We’ve just moved to Sydney and have no family or close friends in the area, so we decided we needed some backup in case something when wrong. We chose Trisha and Norwest Doula Services because she was friendly and approachable, but seemed confident and knowledgable enough to stick up for Sarah and I in the hospital. I liked having the knowledge that if I was stuck at work when it all kicked off, someone could be with Sarah quickly. 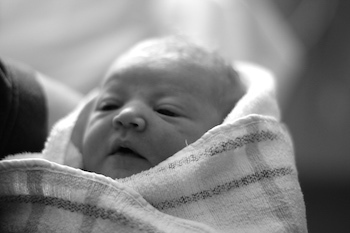 In the end, our birth went very smoothly and Trish simply supported us with her presence and helpful advice. I felt like I was still Sarahs primary carer and Trish never ‘took over’ from me. I was able to have delayed cord clamping, breast crawl, extended skin to skin, and my baby and I still have a perfect nursing relationship 6 months later. 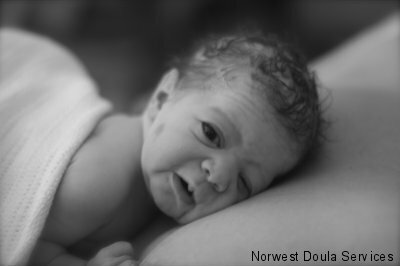 My first birth proved less than ideal, so I did my research and was sold on the benefits of having a doula. A friend of mine recommended Trish, so we had an interview and seemed to click. The resources Trish gave me were useful in reading prior to birth. I prepared my birth preferences AKA birth plan with her help - it was very succinct, apparently! But that was because I had the information to know what I wanted. I changed my mind on some things during labour but I was okay with that, as you can’t really plan birth. I have anxiety, so her reassurances and presence during my pregnancy and birth put me at peace. She was always there if I needed her. My labour lasted over 48 hours in total, and was absolutely exhausting. Although I didn’t know it at the time (I suspected), my baby was posterior (despite all the exercises to try and prevent this!). This causes protracted but painful contractions that aren’t close enough to be in “established” labour. I truly believe that posterior labours with big headed babies are far more painful early on than anterior babies with small heads. Despite this, the exhaustion was the biggest challenge for us. It’s a long time without sleeping properly! Trish helped me stay home longer and helped me cope better – my midwife remarked that she had expected me to come in sooner. She also helped direct my partner in supporting me and in him coping, HE said she was really worth it (my thoughts aside!). Although I got sent home again on endone (which did nothing for the pain, but helped me rest) and eventually came back in for an epidural, I was absolutely supported and informed on every decision I made and have no regrets about any part of my birth. I had a “walking epidural” which was amazing, and let me push on my knees instead of on my back, which I HATED in my first birth. I was able to have delayed cord clamping, breast crawl, extended skin to skin, and my baby and I still have a perfect nursing relationship 6 months later. Part of this was due to my midwifery group practice midwife, but Trish definitely advocated for me in getting what I wanted. I don’t think we would have had any photographs of the birth if it wasn’t for Trish; my partner would NEVER have remembered and of course I was somewhat occupied! The midwives are there doing their jobs so couldn’t take photos either. I am so glad to have them; it was a really special moment. I would recommend every woman to have a doula at the birth of their children and if at all possible, to have Trisha. She will do all that she can to make your birthing experience an amazing one. When I got back in touch with Trisha for the first time after 5 years, we started right where we left off. It was comfortable talking with her and she gave me the confidence I needed for a positive birthing experience once more. Leading up to the birth of my daughter, I had huge anxiety due to prior health issues and a high risk pregnancy but each time I met or talked with Trisha, I felt relieved and positive once more. On the night I went into labour, things progressed really quickly. Trisha arrived at the hospital right when I needed her most and said just the right words to get me through the second stage and push my daughter out. I honestly can’t imagine her not being there as her presence was calming, reassuring and she knew just what to say and do. 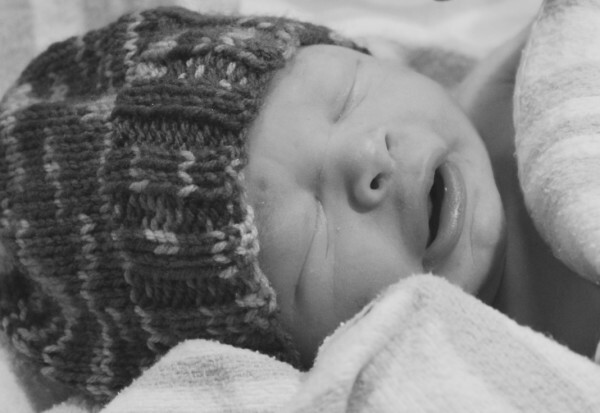 After my daughter arrived, Trisha stayed to help post-delivery and also took some amazing photos. I really can’t thank Trisha enough for being by my side during this special but challenging time in my life. Her knowledge about birthing and everything leading up to it is second to none, she is a reliable and reassuring birth assistant and one I would not go without. We hired Trisha for the birth of our second child, after losing a bit of control the first time around. Trisha listened and supported our wishes, giving us information and ideas for a better experience this time. She was always available if I had questions or fears, in contact every couple of weeks early on and every few days closer to the end. We hired Trisha for the birth of our second child, after losing a bit of control the first time around. Trisha listened and supported our wishes, giving us information and ideas for a better experience this time. She was always available if I had questions or fears, in contact every couple of weeks early on and every few days closer to the end. 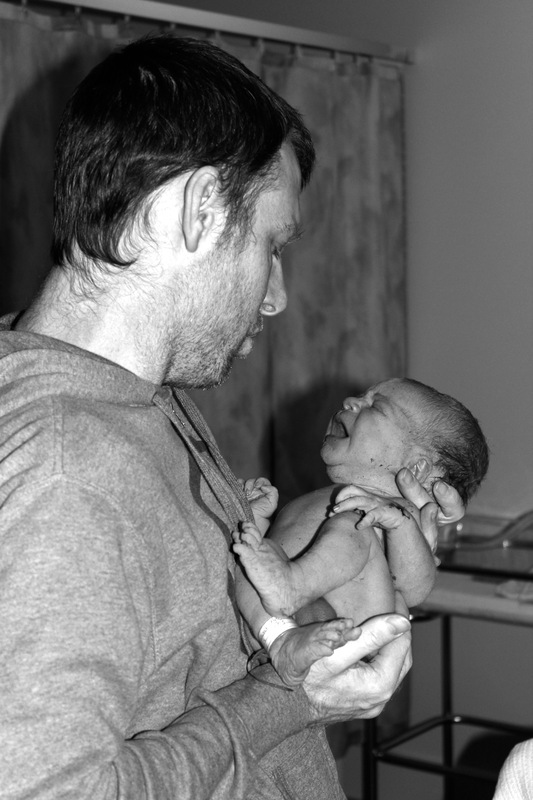 I felt calm and reassured that Trisha would be with us on the day, helping us stick to our birth preferences and helping us with options and ideas during labour. Although I ended up birthing at home with my mum on the phone to the ambulance and my husband on his way home, Trisha helped me have the confidence I needed to know my body could do this without all the medical intervention that happened last time. She met us at the hospital and stayed until just before we left that night. I had had not painful ‘tightenings’ all night, they started to get uncomfortable around 7/8am, I was still talking through them at 10.30 and my daughter was born at 11.30am, went to hospital and left by 9 after waiting hours for a paediatrician to come and check my daughter over, not exactly what we had expected! I would recommend Trisha to anyone who asked, and even those who don’t! If you are thinking about hiring a Doula, stop wondering if you need one and just contact Trisha! I would like to say a massive thank you to Trisha, she helped get my family and I through a very big, life changing event with all the care and support we needed. Trish is beyond amazing. She is a friend, counsellor, confidant, mentor, guardian and lastly a doula. The BEST Doula you will ever have. I cannot recommend her enough. Hi There! My name is Alexis and I am a 27 year old Mum of 1! 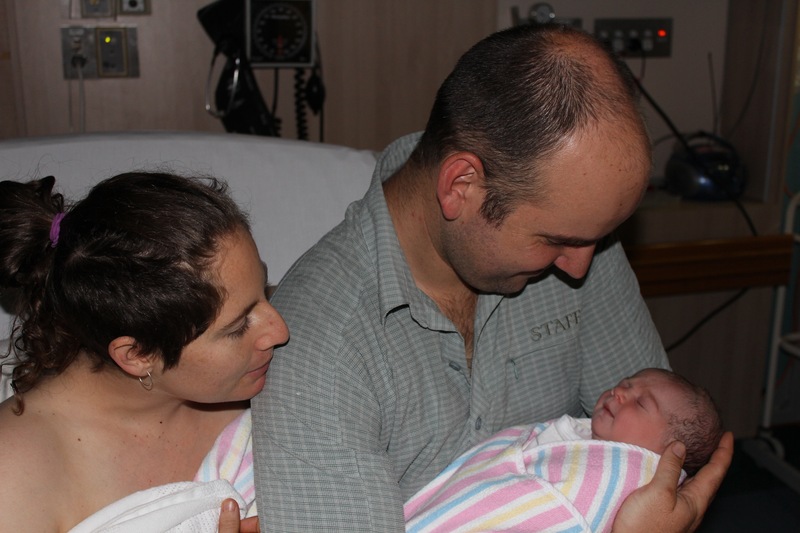 My daughter, Aubrey, came into the world at 10:15pm on the 4th July, 2014. It was 48 hours from my water breaking to holding my angel in my arms. Of course I was apprehensive! I had built a relationship with my former Doula over 9 months and the first time I would be meeting Trish, I would be in LABOUR! However, when I spoke with Trish for the first time, I had no doubt in my mind that she would be on my time, be present and get me through this! I felt an instant connection, like I knew her for years! I felt like we were already friends. During my most anxious and fearful moments, she brought me out of it. She reassured me and kept me calm. I felt safe. Trish is beyond amazing. She is a friend, counsellor, confidant, mentor, guardian and lastly a doula. The BEST Doula you will ever have. I cannot recommend her enough. If you need ANYONE by your side, it will be Trish! I still speak to Trish every now and then. She has continually offered her support and has never turned me away. Unfortunately bub decided to come twelve days earlier than his due date, making it impossible for hubby to fly back home on time as he was in Queensland working. Although I felt a bit upset, I did not feel scared or lonely at all. With Trish by my side I knew that I was in good hands and everything was going to be alright. She even drove me to the hospital. I would like to take this opportunity to say “Thank you” for your support during my pregnancy, labour, and birth and even after birth. I had a very painful third degree tear with my first pregnancy, which worried me everyday about the chance of having another severe tear with my subsequent birth. Luckily I found you, who gave me hope that every birth is different and I may not tear this time. Your words of encouragement gave me more self-confidence; your labour and birth resources gave me more knowledge and learnt what to do when that big time comes. 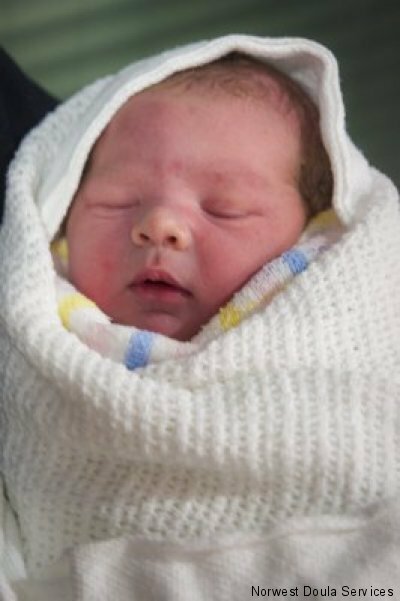 Unfortunately bub decided to come twelve days earlier than his due date, making it impossible for hubby to fly back home on time as he was in Queensland working. Although I felt a bit upset, I did not feel scared or lonely at all. With Trish by my side I knew that I was in good hands and everything was going to be alright. She even drove me to the hospital. To my surprise ,I gave birth to a bigger baby with only a small second degree tear. Although it is still a tear, it was a lot less painful than my previous tears and I could get up and walk straight away. 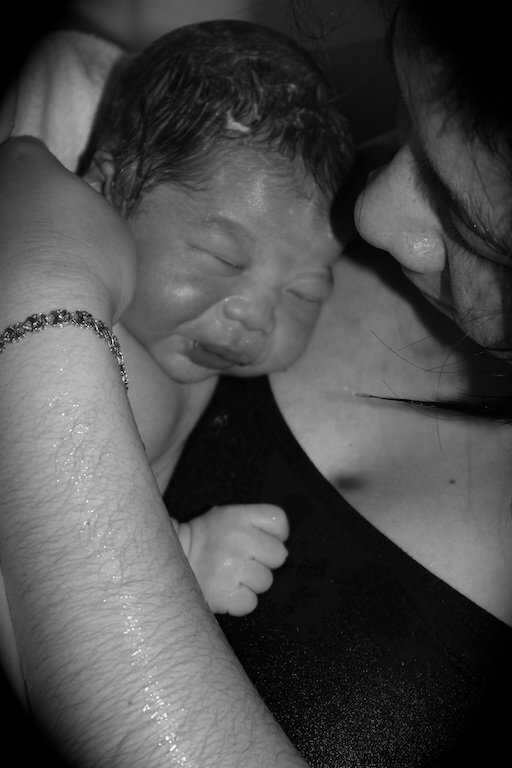 I had a waterbirth with baby born in the sac still, with no pain relief and the labour went so calm and smooth. Again, thanks to Trish for your words of encouragement and advice on different labour and birth positions to try and lending me a hand to hold when I was in pain. What impressed me the most were all the little things you did like keeping me well hydrated with ice water, quickly running the bathtub when finding out I was already 8cm dilated, hit on the buzzer for the midwife when the baby was crowning and nobody else was in the room, packed my dirty clothes for me when I spent some time bonding with bub. You made sure both baby and I were alright and everything settled down before you left. Even after our contract was over after your last postnatal visit; you kept on messaging me to see how things were going with us. Last but not least, thank you so much for capturing some of the most amazing photos which we will treasure for life. I have never experienced any other Doulas so I have no one to compare to, all I know was we got along well since our first meeting, you listened to all my concerns and tried your best in responding to all my queries as quickly as you could. Based on the excellent service you provided, I can say I am more than satisfied to have you as my Doula and would not hesitate in recommending you to any mother to be who is interested in rewarding themselves with a great Doula. From the very first day we met you, my wife Tracy-Ann and I were at ease given the fact you were so supportive with our inspirations to deliver our 2nd child through a VBAC – a hurdle we heavy face in this world of science and perception in the medical world. 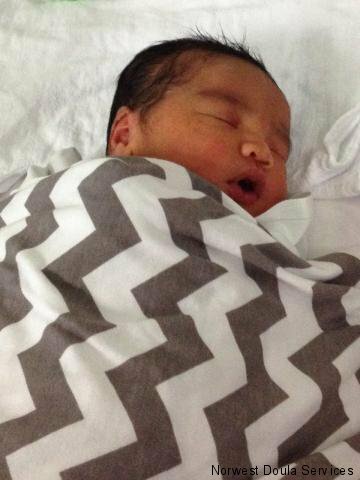 Firstly, thank you for your support and guidance for the birth of our lovely healthy son Kirbie John Amituanai. B) We have done everything and anything we can. Unfortunately the result we were after (vbac) was unsuccessful but more importantly both Mother and Baby to date are both well and healthy. Trish, from the Amituanai family we would like to thank you for your support and post follow up – we will definitely recommend you to our family and friends. When it came to the labour she was wonderful. We will truly treasure all the beautiful photos she took through the labour and moments after Eva was born. I would never have them if it wasn’t for her. First of all I want to thank Trisha for her fantastic support throughout my pregnancy and after the birth of our precious daughter Eva. Even though I had my own midwife through case load and my wonderful husband as support I wanted someone that wasn’t family or medical to support me and inform me on all my options throughout my pregnancy, labour and birth. Trish was always just a phone call, text message or email away. She always got back to me straight away and if I was really worried or anxious I knew she would listen to me and support my decisions. I really found all our pre birth meetings wonderful and all the information booklets, books and dvds she lent me were wonderful. It helped me prepare and be so much more aware. A lot of the decisions and outcome of my birth I credit to Trish as she really pushed me in the right direction. She was not just a support for my labour she was there throughout the pregnancy and I found that very beneficial. I really loved having Trish at my birth and would highly recommend her. I also loved how after the birth she came to my house a few times to make sure we were all going well. She bought me the most beautiful smelling bath herbs, so I could soak, relax and heal after the birth. It was wonderful and it was just what I needed. I would have never thought to buy anything like that. Trish will always hold a special place in our hearts. 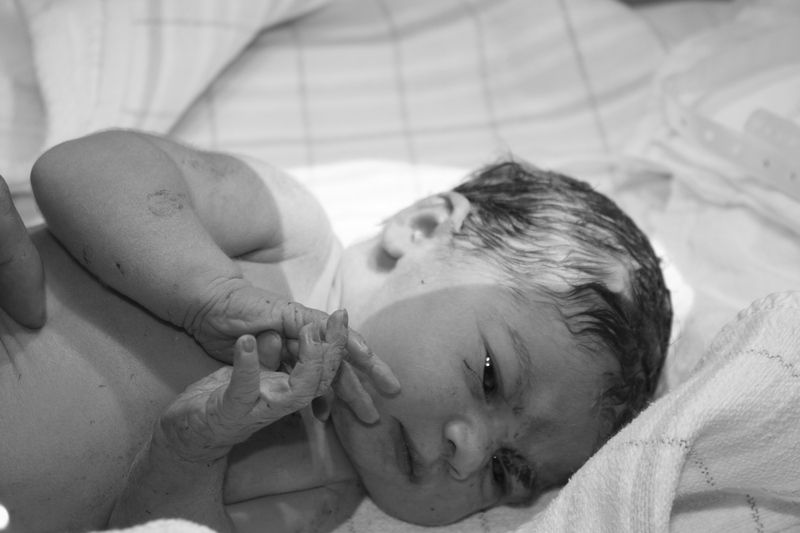 I had a wonderful labour and Eva entered into the world just the way I hoped. 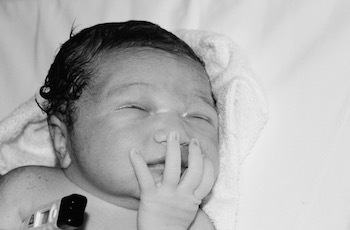 A drug free unassisted water birth. With the support from Trish, my wonderful husband and my lovely midwife I achieved the birth I really hoped for in my second child Eva. Trish I thank you dearly. I had planned on having my husband as my support person, but that wasn’t to be. I needed someone to be there for me to support me for the remainder of my pregnancy. I wanted someone who I felt totally comfortable with and who was non judgmental. Most of all I needed someone I could count on to be there at the birth. I engaged Trisha as my doula when I was nearly 7 months pregnant. I had planned on having my husband as my support person, but that wasn’t to be. I needed someone to be there for me to support me for the remainder of my pregnancy. I wanted someone who I felt totally comfortable with and who was non judgmental. Most of all I needed someone I could count on to be there at the birth. Trisha was all of the above; she made me feel very comfortable and was there for me when I needed her most. Trisha also took some amazing photos, which are very precious to me. Whether you are on your own or with your partner, I would highly recommend Trisha as a doula. It was just so nice to know someone was there for me in whatever capacity I needed. Thanks Trish, I couldn’t have done it without you.